Butterfly Palace is a wonderful attraction in Branson where you see thousands of amazing butterflies with many different colorful wings. The garden of the Butterfly Palace is such a fascinating place that features a living statue that moves slowly and extend her hands for a butterfly to land. Inside the palace, you can have the opportunity to watch a 3D movie about the life of the butterfly. Butterfly Palace allows you to feel a tropical experience that can give you educational information about the facts of the butterfly. As you walk around the garden of the Butterfly Palace, you will be amused in seeing gorgeous butterflies flying around in a calm environment. At the palace, you can have the opportunity to enjoy viewing 3D movie at the Rainforest Theater, or visit other points of interest such as the Living Rainforest Science Center, the Banyan Tree Bungee Adventure, and the Emerald Forest Mirror Maze. The palace also features Butterfly Aviary where you can see living exotic butterflies that share the collection of unique botanical species and other rare tropical birds. Butterfly Palace also features a wide display of vividly-colored frogs, geckos, and salamanders. The palace has a building that houses butterfly documentary film about the monarch butterfly that struggles to survive. It is also interesting to visit the Living Rainforest Science Center where you get to enjoy nature. On the top floor of the palace, you will find a beautiful atrium that houses butterflies from around the world. As you walk through the atrium, you will hear a melodious music coming from a stringed dulcimer and a beautiful sound of a xylophone played by a lady. In the Banyan Tree Bungee Adventure, you will see spectacular display of rocks, pillars, and vines that creep from floor to ceiling. The Emerald Forest Mirror Maze is another interesting attraction at the palace where you will have a hard time finding your way out. Outside the palace, you will find it interesting to see thousands of white butterflies move like snowflakes. 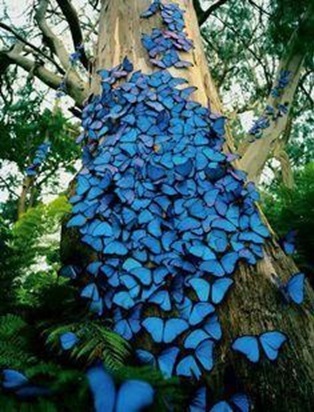 In this majestic place, you will truly feel an ultimate fun and facts that you will learn about the butterfly. The tour at the Butterfly Palace is such a wonderful time for visitors as it gives them the opportunity to see all kinds of butterflies in one day. The Butterfly Palace also features a pet shop that houses lizards, turtles, and chameleon. If you are lucky, you will see a chameleon being fed with crickets. You will also find a butterfly room in the palace where amphibians, reptiles, and rare butterflies are kept. Visitors to the palace usually spend more than 3 and a half hours without even realizing it. A wonderful visit to the palace allows everyone to see many varieties of butterfly species in just one hour whereas it may take a month to see the same amount of species in other places. So, if you want to see an array of butterfly species and other rare tropical birds, visit the Butterfly Palace in Branson.